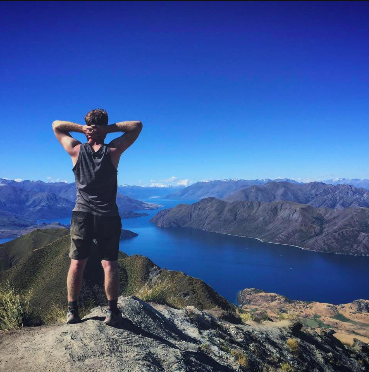 I connected to Sam via the NZ Nomadic Entrepreneurs Community facebook group (which I started in early 2015 to promote discussion and community around entrepreneurship and digital nomadism for those with a connection to New Zealand ). I think Sam's story is super interesting and a good example of what it can look like trying to start out in the world of entrepreneurship! I also think Sam is working in a really creative and interesting niche, which reflects my views that businesses based around personal passions can be an awesome way to 'blur the lines of work and play'. Enjoy Sam's interview below! I'm Sam Matla, a 20-year-old dude living in Wellington, NZ. It all started for me circa 2008. I wasn't getting what I thought was a satisfactory amount for mowing the lawns at home, so I decided to take matters into my own hands and asked Google how I could make money as a teenager. I found out that you could make money blogging, specifically by teaching something you're good at. I'd been skateboarding for a few years and decided to write a blog about skateboarding. 1 year and 90 blog posts later, I hit wild success and made a grand total of $23. I never got that $23 - the cash-out threshold was $100. Good times. So I figured it was a joke. Maybe some people could make money online, but not me. It was around this time I started making electronic music. A couple of years later I decided to give it another crack. I was halfway through my last year in school and had no idea what I wanted to do when I left. I ran a similar Google search to the one I did when I was 14 (except I excluded the word 'teenager' because I thought I was past that stage), and ended up coming across Pat Flynn's Niche Site Duel. I ended up launching a blog about personal productivity. 8 months in, I'd made $20. Still couldn't reach the threshold either. C) I needed to transition to full-time music production and teach it (via means of, you guessed it, a blog) on the side. Within a week, the tables turned. 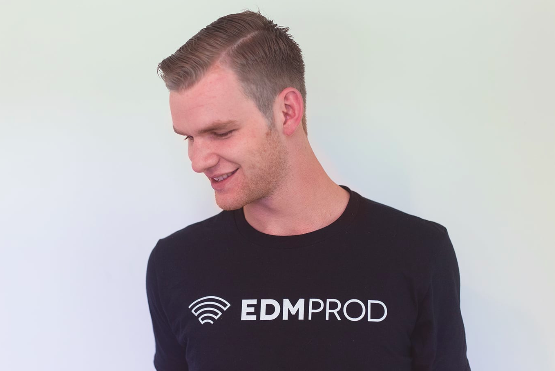 I was spending the majority of my time on the new blog, EDMProd. I launched on the 1st of July, 2013, with 150 email subscribers due to a pre-launch landing page. I had more email subscribers before launch than I had after 8 months writing articles on productivity. Something felt different this time. Skip ahead 2+ years to now, and it's a full-time venture. I've had hundreds if not thousands of people thank me for helping them make better music, I've launched courses, an ebook, and I've interviewed some of my favourite artists. 1. Creating music that has lasting impact on people. 2. Making something great out of raw information and thought (one reason why I love books so much, because that's essentially what authors do). 3. Starting things and finishing them. I think the term itself can be daunting to many. I'm not a huge fan of the word, but I can understand why people use it. A lot of people see Entrepreneurs as people like Branson, Musk, Gates. They figure they can't be someone like Richard Branson because of X, Y, and Z, and to be honest - they're probably right. People like Branson are one of a kind. But not everyone needs to be at that level, not everyone can be at that level, and not everyone should be at that level. There's opportunities everywhere, big and small, and I think if more budding "entrepreneurs" realised that they don't have to invest millions of dollars and 100 hours per week of their time, they'd be one barrier down. The other main barrier is excuses. I can't do X because I don't have any money, I can't do Y because I don't have any skill. Guess what? Most libraries these days offer free internet. If you're reading this, you probably have a phone or laptop. You know what else libraries have? Books. For free. Read them, acquire knowledge/skill, put knowledge/skill into action and start something of value. Or just learn off the internet like everyone else does. With business, I think you get that awesome feeling of progression, but there's not really a point where you've won (unless your primary goal in life is to build a company for it to be acquired and then sip mojitos on a tropical island, but that sounds boring as hell). Well, that's pretty far in the future, so I don't exactly know. I'd like to get into speaking, maybe doing workshops and lectures (in the field of music, not business). I'd also like to publish a book on something unrelated to music production. I've got a few ideas. 6) PODCAST & BOOK ABOUT ENTREPRENEURSHIP? The Kill Facebook Newsfeed plugin for Chrome. I'm serious. Scroll down your newsfeed right now and count how many posts are conducive to starting or running a business. 8)BONUS QUESTION: How could you double your business in the next 12 months? An intern and/or employee. One can only do so much.